I recently took my daughters to see Brave, the new movie from Pixar and Disney, and I found it thought provoking. 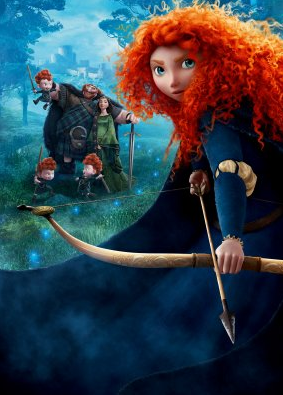 Brave introduces Merida, a feisty Scottish princess with a bad habit of laying her weapons on the dinner table. Like most Disney princesses, Merida feels stifled by her current situation and attempts to makes some changes. Things don’t go according to plan, but it all works out in the end. The movie is beautifully animated, and the voice acting, especially Emma Thompson’s, is excellent. On the whole, Brave is Pixar at its best, but it might have one flaw. It might be too subtle.